iPhone 6S screen: what could Force Touch actually do? 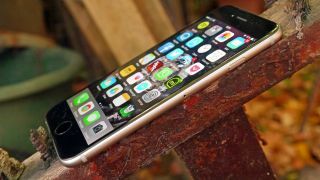 The iPhone 6S, if past performance is anything to go on (and with Apple, it usually is) will be a 4.7-inch affair, coming with a 720p resolution. For any other manufacturer such a sharpness wouldn't be accepted by its fans, but Apple is in the enviable position where its customers appreciate the efforts made to make it look great rather than caring how many pixels are packed in. You might think that Apple is going to just use the same screen technology as the iPhone 6 in the new phone, which would save effort and cost – but it seems there's a new component coming in. The big thing that's been touted for the iPhone 6S is Force Touch, the same tech used in the Apple Watch and New Macbook, where different levels of pressure will result in a different onscreen experience. Think how a longpress works now, and you'll get some idea. One of the big ideas being touted around (originating from Marc Gurman of 9to5Mac) is that for Apple Maps: press lightly to highlight a place, then press harder to start directions there. Extend that out and you'll see how this could be used throughout the phone: press the screen to scroll through video, press harder to skip through faster (rather than lifting your finger uncomfortably up the screen). Other suggestions include 'hard' pressing a track to offer options to add it to a playlist, or doing the same on a link in Safari to see a web page preview. TechRadar's Hugh Langley reckons the same feature will change the way we game on the iPhone, and there's even a suggestion we could finally get a back button option on screen like Android users enjoy. It might not be the most intuitive thing for those that have been using iPhones the same way for seven years, but this could be a massive change that, once people get used to, the competitors start copying in their droves.